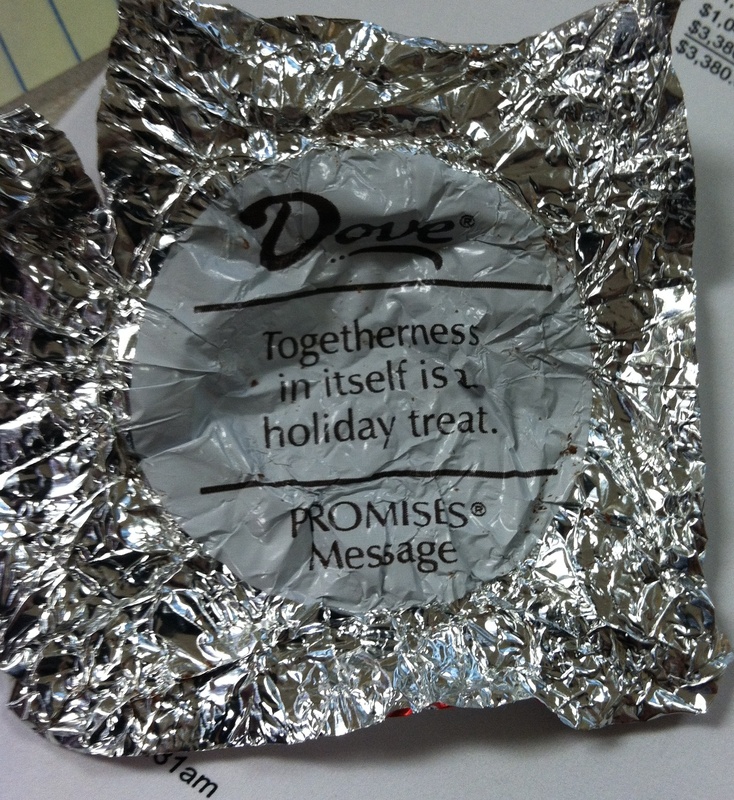 Right, Dove Chocolate? No wonder you and I are so cool with each other. One love. As I’ve mentioned, I hate Christmas. I hate it for so many reasons that I can’t even fully articulate. I don’t really remember the last “great Christmas” I had. I do, however, remember the Christmas where I was stuck in a hospital bed playing with a “Joy” (ha!) ornament my aunt had given me while a nebulizer was attached to my four year old face. I also remember the year I somehow contracted a weird stomach virus that left me unable to eat anything– specifically cookies, the only good part of this holiday, WTF– for a solid few days after December 25th. The worst. The WORST! Here’s what I really hate about this holiday: people just aren’t that nice anymore. There’s too much of a focus on things, on checking off items/people on lists, on stampedes. And the Macy’s at Herald Square just completely freaks me out in December. Have you seen the Santa at Santaland? He wears like three different shades of eyeshadow! That’s just scary. Andy Rooney wouldn't be caught de-- oh. Never mind. Whatever my reasons, I know what I do like about this time of year: COOKIES! SO. MANY. COOKIES! And these particular, pretty easy ones have been quite a hit with guests. Behold, the lacy oatmeal sandwich cookie! These are delicious, thin and crispy oatmeal cookies that can be– should be– spread with a thin layer of melted chocolate and sandwiched together. I mean, you can just leave them alone…but why? Preheat the oven to 325°F and line two baking sheets with wax paper. 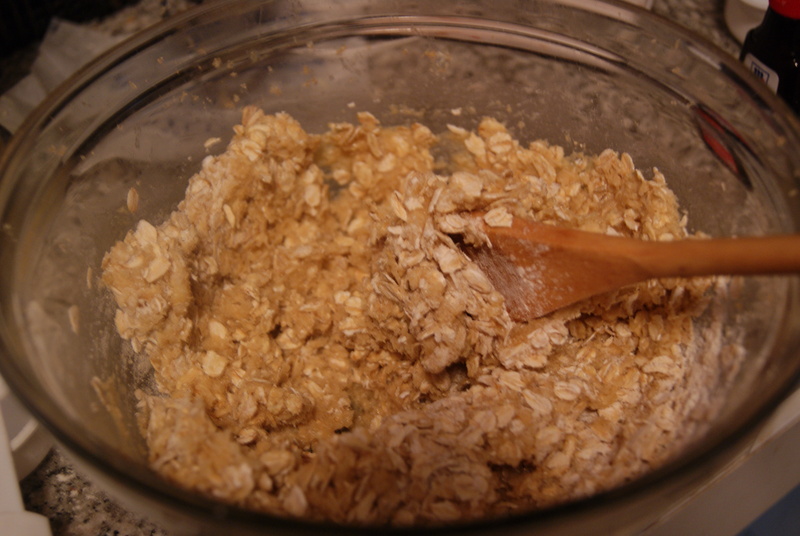 In a medium bowl, combine oats, flour, salt and baking powder. In a larger bowl, mix together sugar, butter, egg and vanilla. Stir in flour/oat mixture until just combined. 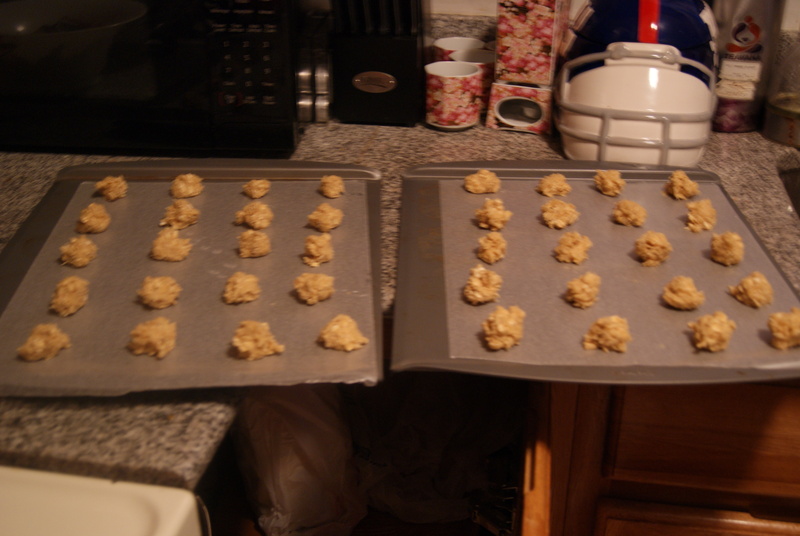 Then drop teaspoon-sized balls onto baking sheets. Make sure to use an actual teaspoon for these, to ensure even baking, and leave enough room for these to spread out and flatten. Bake for 10 to 12 minutes (make sure to check on them at the ten-minute mark, since mine were done by then), then let cool completely before peeling off the wax paper. Really, let these cool completely or they’ll break apart in your hands and you’ll be forced to eat the broken pieces. Poor you. While you’re letting them cool, place the chocolate chips in a bowl with a teaspoon of butter. Set the bowl over a small saucepan filled with simmering water and stir until the chocolate’s completely melted. 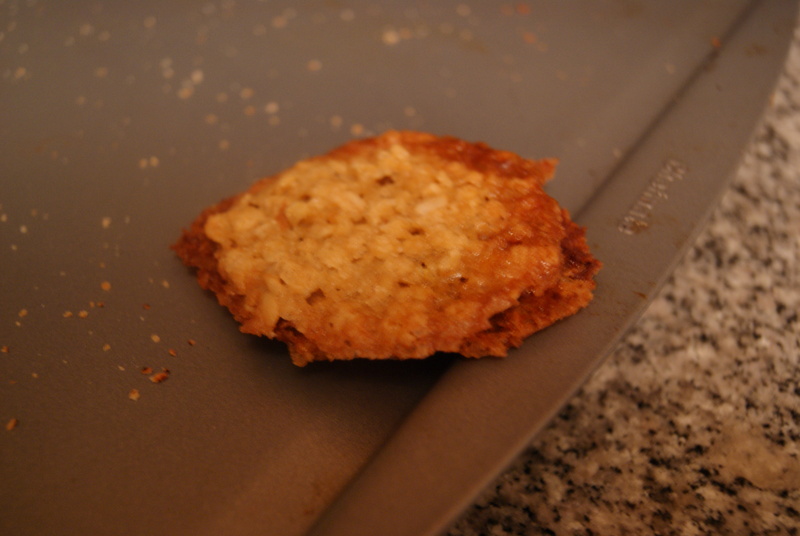 Spread a thin layer over the flat side of one cookie and top with another cookie. Then eat. And eat. And eat. These really were quite a hit. My cousins loved them. I’ve also got someone staying with me this week who has repeatedly reached into my NY Giants helmet cookie jar for seconds and thirds (I’m going to be making another batch of these when I get home so that there are fourths to be had as well). That just warms my tiny grinch heart. These will definitely be added to my holiday assortment. Yes, even though I hate this holiday, there will be an assortment associated with it. Maybe I will even make gingerbread men. They will all be frowning and missing an eye. Maybe I will also make tree-shaped sugar cookies. They will have missing branches and purple icing. I fight The Man, because I can. Happy Holidays!